The first episode of Jam TV’s 2013 series on inspirational Kiwis follows Helena McAlpine’s journey as she deals with terminal breast cancer. 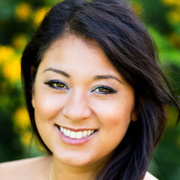 The ebullient spirit of the ex-C4 presenter permeates the episode, as she talks about her mental health struggles, her bucket list, living in the fast line, fishing with mate Clarke Gayford, leaving her daughter without a mum, advocacy work for cancer awareness campaigns, and the ‘McAlpine theory on life’ — choose to be happy. “I really don’t see myself as a sack of sadness”. McAlpine died on 23 September 2015. 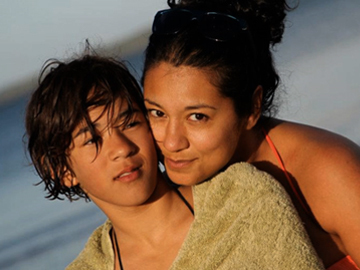 Brit-born Helena McAlpine moved to NZ in her 20s. Soon she was DJing on The Edge and being headhunted by C4, where she became one of the music channel’s main hosts. After discovering she had breast cancer, she got busy on a large bucket list, including cameoing on Shortland Street, campaigning for the Breast Cancer Foundation, and flying a plane once again. McAlpine died on 23 September 2015. 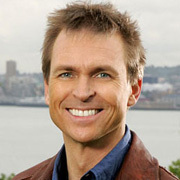 After presenting children's television, sports and magazine shows (Spot On, That's Fairly Interesting, 3:45 LIVE!, Keoghan's Heroes), Phil Keoghan moved to the United States. In 2000 he was picked to host The Amazing Race, one of the most awarded shows in the history of reality television. 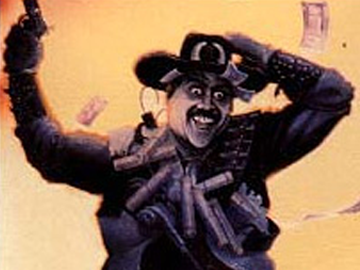 Multiple Emmy-winner Keoghan has also written book No Opportunity Wasted, and created a bevy of accompanying TV series. Curtis Vowell began acting in short films while studying at drama school Toi Whakaari in Wellington. 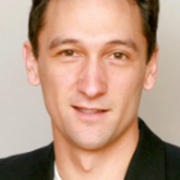 Vowell has worked as both an actor and assistant director. In 2014 he made his directing debut with movie Fantail, starring (and written by) his partner Sophie Henderson. The tale of a young petrol station worker who identifies as Māori was acclaimed as fresh, "funny and dark and sad" (The Listener). In 2019 the couple began filming their second feature: comedy Gone, Baby. 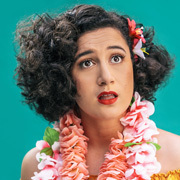 Comedian Rose Matafeo stars as a tree surgeon rushing through her bucket list after falling pregnant. 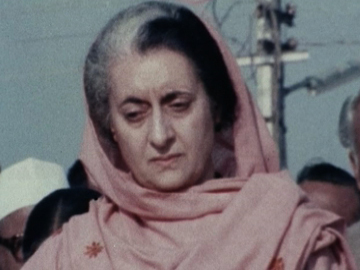 This 1976 documentary examines India’s third Prime Minister, Indira Gandhi. Her father took office as Prime Minister in 1947, the day India became independent from Britain. Framed around an extended interview with Gandhi, reporter Dairne Shanahan explores India and Indira’s history, and her controversial ‘emergency’ governing of the democracy’s 600 million people. The documentary was directed by Barry Barclay and produced by John O’Shea for Television One, as a pilot for a series that was never made. In 1984 Gandhi was assassinated by two of her bodyguards.